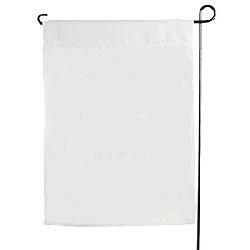 Buy Garden Flags in Solid Colors from S.W.I. - Supplying blank printables since 1989 ! 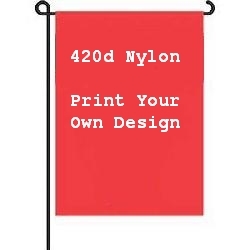 Our Printable Solid Color Garden Flags are nicely made from 420d nylon fabrics in bright brilliant colors for lasting beauty. 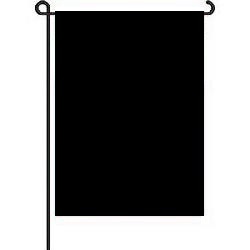 Each blank garden flag measures approx. 12" x 18", come with sewn edges and hemmed sleeve for easy pole attachment, ( * poles are not included ) ..
All Solid Color Garden Flags are in stock and normally ship within 1 business day ..